Hook of a Book | Oh, for the HOOK of a BOOK! Women in History: Lauren Bacall…She Dared! The Celebrating Women Series for 2017 continues with article #3 today. March is Women in History month and so I’m featuring writers and authors who sent in guest articles surrouding women and topics about women. In fact, it will extend way past March. You can find a main page for this with explanation and link to all articles here. I’ll add the article as I schedule or post them. Today, we have a post by a young women named Somer Canon, who’s published so far as a horror author, but has plans to spread out into various other genres. She’s got a great sense of humor and an obsession with old Hollywood and biographies! Without further ado, she gives us a wonderful look at the fiesty spirit of actress Lauren Bacall. Lauren Bacall was a woman who dared. She dared to be a wife and mother and she dared to have a career. As the quote above states, she wanted it all. While that concept is not so alien to us all now, in the 1940s and 1950s, that was a hell of a tall order for a woman to dare to fill. Born Betty Perske in 1924 in the Bronx, New York, the future Lauren Bacall attended private schools paid for by wealthy relatives. In her late teens, she began modeling and one of her cover pictures for Harper’s Bazaar was spotted by Nancy “Slim” Hawks, wife of famed director Howard Hawks. At his wife’s urging, Hawks arranged for a screen test and the striking 5’8” beauty inspired Hawks to hire young Betty upon meeting her. The movie she was testing for was “To Have and Have Not,” the very film where she met Humphrey Bogart. I’d like to gloss over the love life of Lauren Bacall. Many works have been written about Bogie and Bacall, even the song Key Largo by Bertie Higgins makes mention of their famous love. I’d like to also gloss over the relationship with Frank Sinatra, the unfortunate second marriage to Jason Robards, and the short lived relationships after. Lauren Bacall, as a woman and career driven individual, deserves more from me than the constant goo-goo type of attention paid to her marriage to Bogart. “Having it all” meant that there was more than just the woman who avoided working on movies that shot on location because Bogart didn’t want her working away from him. It meant more than the woman who threw fabulous parties and always looked resplendent when on her man’s arm. Even by Hollywood standards, she was more than a party decoration. Jack Warner used the word “insolent” to describe Lauren Bacall. When Hollywood was still operating under the studio system (actors were hired by studios and received weekly salaries for working, working on several movies a year), Bacall was a Warner Bros. actress, but she was frequently suspended from the studio for refusing the accept parts that she considered mediocre. Her first role in the Hawks film had catapulted her to instant stardom, and she knew her worth. Insolent was the word used, but what she was really doing was looking out for her career. Lauren enjoyed varying degrees of success with a movie career during the 1940s and 1950s. There was a period of waning in the 1960s, her personal life taking a nosedive with the death of Bogart. At the urging of her mentor and Hollywood maker, Slim Hawks (now Hayward thanks to marriage to Leland Hayward), Lauren took a part in the Broadway play “Goodbye Charlie.” Although it wasn’t a hit, Lauren relocated herself and her children to a large apartment at the famed Dakota in Manhattan. Eventually, a role of a lifetime landed at her feet. A play based on the Bette Davis movie, “All About Eve” came along. It was called Applause. At age 45, Bacall got to showcase what happened to aging actresses. It was a big deal for Bacall to be playing Davis’ part on stage as Bette was Bacall’s idol. The play was a huge triumph and Bacall not only won a Tony in 1970 for her part, but Bette Davis also once visited her backstage after one of the performances and told her, “You’re the only one who could have played the part.” I’m just guessing, but I bet that felt amazing to hear from her idol. Bacall won another Tony in 1981 for her role in Woman of the Year. She enjoyed a great amount of success on Broadway before Hollywood remembered her and she experienced a resurgence of movie interest. She got an Oscar nomination for her part in the Barbra Streisand movie “The Mirror Has Two Faces” and she eventually won an honorary Academy Award in 2009. In a business where aging diamonds of the silver screen struggle to find a place for themselves when ageism was and still is a huge obstacle for actresses, Lauren Bacall found her niche and it fit her perfectly. She didn’t suffer last days of isolation and poverty like so many who went before her. In one of her memoirs, she noted that she had been alone for decades and that it suited her. Perhaps it was for the best. When Lauren came to Hollywood, she was 19 years-old. She lived to see all of the people who were there to give her guidance and advice die, the biggest names of Hollywood become specters on celluloid in place of warm, living people. That she could live a life alone “imaginatively” as she put it, makes her all the more interesting. She did the wife thing, the motherhood thing, and the career thing, sometimes all at once and she remained an outspoken, brassy heroine. A wealth of life experience made her the woman that she was. It made her the tower of personality who the world lost in 2014, and although she will be missed, her mark is deep and brightly colored. That deep voice and carelessly elegant hair will always be part of a picture of a woman who dared to have it all, went for it, and got it. Well done, Lauren. Well done. Her debut novella was Vicki Beautiful, published by Samhain in 2016. n October of 2016, she published a Halloween short story, Mischief, and she currently has other works in the submission process. As well, she continues to use her imagination and has several exciting stories she’s actively working on. Find out more about Somer and her upcoming works at her website http://www.somercanon.com. You can also connect with Somer on Twitter. Thanks for following along this series with us! You’re most likely strolling through Facebook in the evening if you’re spending the night at home and are 30 and over, right? Not to generalize, but c’mon, we all know most of us live inside Facebook. You might be posting your favorite book, cartoon, and chatting with friends in between watching a cool show or settling down for the evening? 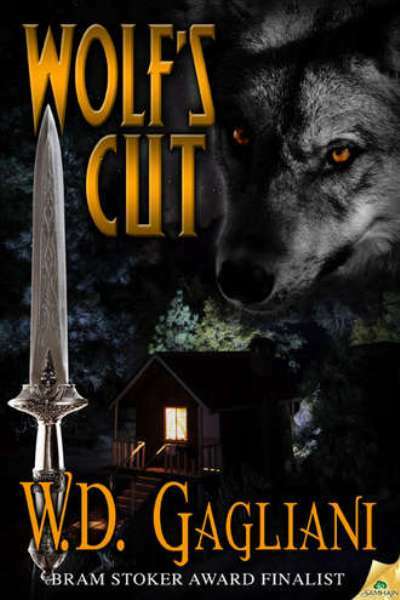 We’ve got a fun VIRTUAL party you can drop by for as well to help congratulate and celebrate horror/suspense/crime noir author W. D. Gagliani and his release of Wolf’s Cut! Gagliani is a Bram Stoker Award finalist for Wolf’s Trap, the first book in the werewolf detective series of which Wolf’s Cut is number five. See details of party below, plus book and author information! We’ll also have some books to giveaway that you can enter to win, courtesy of W. D. Gagliani himself! It will be a howling great time!!! GIVEAWAYS~ 1) one print copy and one digital of Wolf’s Cut up for grabs to newsletter signer uppers (send Erin at hookofabook@hotmail.com your email you’d like to receive it at for a newsletter a few times a year). 2) two print copies of Wolf’s Cut, and one e-book version, available to attendees just to asking a question. 3) one digital copy of Wolf’s Cut (or choice in series) for the announced contest during the party. 4) one complete print and signed series to grand prize winner!!! You must ask a question to enter into any of them. You can choose just one to enter (for instance if you have already purchased a copy of one of them) or you can choose to have your name thrown in for all 1-4. The virtual party sponsored by Hook of a Book (www.facebook.com/HookofaBook) page takes place on the actual wall of the Facebook page (not on the invite wall if you have a FB invite) from 9-11 EST on Friday, March 28, 2014. Attendees are able to ask W.D. any questions they want by PRE-ASKING (or asking during the party via an email submission) to hookofabook(at)hotmail(dot)com, which will then be posted by the moderator (Erin) to the Hook of a Book wall. Attendees can see questions answered and be able to comment. Again, please pre-ask questions using email listed below or Erin will also take limited questions during the party which will go in a queue to be asked in order received. Email Erin at to hookofabook@hotmail.com (subject: Gagliani question). The night of the event you can also inbox message Erin Al-Mehairi on the Hook of a Book Facebook page (below) if you can’t email and it will go into the queue. Please, NO attendees should post questions to the wall of the party just because it gets too confusing. If questions appear on the wall, Erin will put in to the queue and then re-post the question as a status. The author won’t answer those, but will wait for them to be re-posted and then answer. However, you can post to the wall to say congratulations and authors can comment on that too. We’re giving away some books too! Emailing a questions, and following any other terms noted, will secure you a giveaway entry. All that ask questions will have a chance to win! For the grand prize, you may need to also sign-up for his newsletter. Questions are encouraged, but you don’t have to ask one. You can just hang out and have conversation in the comments and enjoy your time! Please remember that refreshing your browser is very important to see all questions and answers ongoing during the event. Also remember to be patient. The moderator, Erin, is constantly working in the background and will be taking your emails, inbox messages, posting questions, and monitoring the party all at once. The Nick Lupo Series Book Five. Nick Lupo: A cop, a werewolf…and a target! Wolf’s Cut is fourth novel following the Bram Stoker Award-nominated novel Wolf’s Trap, so it is the fifth in the savage series of horror/thrillers about the werewolf/cop. These “North Woods Noirs” are set mostly in the wilds of Northern Wisconsin, where werewolf legends abound and the moon paints the treetops silver. Warning: adult content. The next book in the series will arrive in 2015. W.D. Gagliani is the author of the horror/crime thriller WOLF’S TRAP (Samhain Publishing), a past Bram Stoker Award nominee, as well as WOLF’S GAMBIT (47North), WOLF’S BLUFF (47North), WOLF’S EDGE (Samhain), and the upcoming WOLF’S CUT (Samhain). WOLF’S TRAP was reissued by Samhain Publishing in 2012. Gagliani is also the author of the hard-noir thriller SAVAGE NIGHTS (Tarkus Press), the collection SHADOWPLAYS, the novella THE GREAT BELZONI AND THE GAIT OF ANUBIS, and the holiday-themed short stories “The Christmas Wolf” and “The Christmas Zombie,” all available for the Kindle and other formats. A collection of collaborations between David Benton and W.D. Gagliani, MYSTERIES & MAYHEM (Tarkus Press), is available for Kindle and all other formats. Five collaborative short stories are included, as well as one solo short story from each author, and several bonuses along with a guest short story. Gagliani is also the author of various short stories published in anthologies such as ROBERT BLOCH’S PSYCHOS, UNDEAD TALES, MORE MONSTERS FROM MEMPHIS, WICKED KARNIVAL HALLOWEEN HORROR, THE BLACK SPIRAL, THE MIDNIGHTERS CLUB, THE ASYLUM 2, ZIPPERED FLESH 2, MASTERS OF UNREALITY, DARK PASSIONS: HOT BLOOD 13, MALPRACTICE: AN ANTHOLOGY OF BEDSIDE TERROR, and ZIPPERED FLESH 2 (the last four with David Benton), and more. 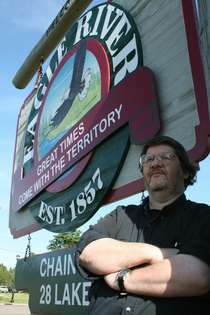 He has also written book reviews, articles, and interviews that have been published in places such as THE MILWAUKEE JOURNAL SENTINEL, CHIZINE, CEMETERY DANCE, HORRORWORLD, PAPERBACK PARADE, CINEMA RETRO, HELLNOTES, FLESH & BLOOD, BOOKPAGE, BOOKLOVERS, THE SCREAM FACTORY, HORROR MAGAZINE, SF CHRONICLE, BARE BONES, and others. Also published in the Writers Digest book ON WRITING HORROR (edited by Mort Castle), THEY BITE! (edited by Jonathan Maberry and David Kramer), and in the Edgar Award-nominated THRILLERS: THE 100 MUST READS (edited by Morrell & Wagner), published by Oceanside for the International Thriller Writers. In October 2011, THE WRITER magazine published his article on writing werewolf epics. His interests include old and new progressive rock, synthesizers, weapons, history (and alternate history, secret history, and steampunk), military history, movies, book reviewing, and plain old reading and writing. 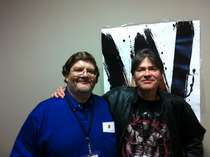 He is an Active member of the Horror Writers Association (HWA) and the International Thriller Writers (ITW). He lives and writes in Milwaukee, Wisconsin. Find him on Facebook and Twitter. Like the Hook of a Book Facebook page at www.facebook.com/HookofaBook! We post reviews and interviews from this site there, but it also gives us the opportunity to talk books with you more, feature upcoming covers and releases, post free or discounted books, discuss literature, and showcase books we have on list to review. We’ll talk about the book, publishing and writing industry. We’ll probably also talk grammar tips and ask lots of questions, as well as post interesting historical articles, art, photos, and other things we find intriguing. Oh, for the Hook of a Book! Blog is an extension of Hook of a Book Services of Addison’s Compass Public Relations. We do book publicity, editing, proofreading, newsletter and blog articles, draft consulting, media relations, press releases and more. Your Chance to Ask Jonathan Janz ANYTHING…Oh, and Support His Release of Savage Species! Hook of a Book is coordinating another GREAT book party over on our Facebook page for Jonathan Janz, horror author of Savage Species, a five-part serial series in which installment one was just released (Night Terrors). Come celebrate with Janz and support his release of Savage Species! It’s your chance to ask him any questions you like by emailing them following the directions provided below, then get your answers live at the party! As the moderator, Hook of a Book (Erin Al-Mehairi) will post questions to the Facebook page, and then Janz will comment. Feel free to comment yourself under the posts in conversation with him and others! Let’s have some fun! Plus, you can enter to win some cool print books of Janz’s previous titles and awesome swag from Samhain Horror by emailing your desire to enter to hookofabook@hotmail.com. PLEASE email any questions PRE-party (the sooner the better) to hookofabook@hotmail.com or by using the message option on Hook of a Book Fan Page (www.facebook.com/HookofaBook). Leave your question, your first and last name, and your email address for any giveaways. Be sure to “like” the Facebook page Hook of a Book and check out the NOTES section for info about Savage Species and Janz AND updates about the party. What is Savage Species About? Samhain Publishing’s Horror line is blazing new trails for themselves by releasing Savage Species, by Janz, as their first serial horror novel. In five installments, with new installments coming every two weeks, you’ll get a terrifying read that will propel you to the next.The first installment of Savage Species is amazingly awaiting you NOW as Night Terrors is being offered absolutely FREE FREE FREE right now (over 100 pages of awesome reading), no strings attached….just nightmares! Go ahead and download now! Peaceful Valley is about to become a slaughterhouse! Jesse thinks he’s caught a break when he, the girl of his dreams, and her friend are assigned by their newspaper to cover the opening weekend of the Peaceful Valley Nature Preserve, a sprawling, isolated state park. But the construction of the park has stirred an evil that has lain dormant for nearly a century, and the three young people—as well as every man, woman, and child unlucky enough to be attending the grand opening—are about to encounter the most horrific creatures to ever walk the earth. A species so ferocious that Peaceful Valley is about to be plunged into a nightmare of bloodshed and damnation. SEE ALL FIVE COVERS AND READ A GUEST POST BY JANZ FROM EARLIER THIS WEEK BY CLICKING ON THIS!! The first installment of Jonathan Janz’s new—and Samhain Horror’s first-ever—serial novel will be released for FREE! You can download the first installment of my new serial novel (Savage Species: Night Terrors) FOR FREE right here…. The Library Journal deemed his follow-up, House of Skin, “reminiscent of Shirley Jackson’s The Haunting of Hill House and Peter Straub’s Ghost Story” and it was nominated for the Darrell Award this year, which recognizes the best published Midsouth regional science fiction, fantasy, and horror, and won first runner-up. Samhain Horror published his third novel, The Darkest Lullaby, in March 2013. His fourth novel, the serialized, action-packed survival horror thriller called Savage Species, releases June 4, 2013. His fifth novel, a vampire western called Dust Devils, will be released in February 2014. He has also written three novellas (The Clearing of Travis Coble, Old Order, and Witching Hour Theatre) and several short stories. He’s currently writing his sequel to The Sorrows. His primary interests are his wonderful wife and his three amazing children, and though he realizes that every author’s wife and children are wonderful and amazing, in this case the cliché happens to be true. You can learn more about Jonathan at http://www.jonathanjanz.com. You can also find him on Facebook, via @jonathanjanz on Twitter, or on his Goodreads and Amazon author pages.